We are happy to announce that on May 8 & 9th 2017 some of the biggest names in the blockchain world will be in Auckland, New Zealand to take part in what is turning out to be one of the most exciting blockchain events in Australasia: The Blockchain NZ 2017 conference. The event will have over 20 international speakers, includes keynote presentations from Vitalik Buterin, creator of Ethereum (2016 Fortune magazine 40 under 40) and Andreas M. Antonopoulos, author of numerous blockchain/bitcoin books including Mastering Bitcoin and The Internet of Money. This year’s conference - proudly organised by us here at 3 Months and BlockchainLabs.NZ, in association with the Blockchain association of New Zealand and supported by numerous industry groups including the Australian Digital Currency & Commerce Association - follows on from last year’s sell out Ethereum.NZ event held in Wellington and Auckland. The event will be broken down into a number "themes": An Introduction to Blockchain and Smart Contracts, Money and Finance, New Funding and Organisational Models, Owning our Data, Changing Business Models, The Future and Changing the World. To be clear, The Blockchain NZ is not a tech conference - it's a business conference touching multiple industries that will inspire you to rethink the way you transact, collaborate, authenticate, and share data and information. From finance, to agriculture, to democratic systems, the blockchain is redefining trust and we have some of the world leaders in the blockchain revolution to share their knowledge. On this 3 day journey, we'll teach you the basics of blockchain and explore real life ways the technology is being used to disrupt business models and transform societies. The blockchain, with it's best known implementations being Bitcoin and Ethereum, has had a turbulent few years with bitcoin's demise being predicted many times by the mainstream press and one of the highest profile Ethereum-based crowd capital raising project in history "The DAO" being hacked. However, the inconvenient truth for governments and organisations whose business model depends on maintaining centralised control of information/money/power and acting as a trusted intermediary (i.e. most of our global commerce system) is that the blockchain is not going away. One indication of this gradual validation of the technology is that, although still very volatile, the value of Bitcoin and Ether as a currency/asset class has seen incredible rises over the last year. At the time this article is being written Bitcoin has increased by 83% and Ether 240% in the last six months against the US$). The really exciting part of the blockchain story is the fact that platforms like Ethereum now give software developers a way to fundamentally disrupt existing business models by replacing trusted intermediaries with "smart contract" code. Banking without banks, insurance without insurance companies, Ubering without Uber, buying/selling without Ebay/Amazon, energy trading without energy retailers. There are blockchain projects underway in all these areas. The revolution has begun. With the recent announcement of the Enterprise Ethereum Alliance last week by some the biggest players in the industry (including Microsoft, Intel, Accenture), Ethereum is gaining momentum fast as a key platform for building powerful decentralised blockchain based applications. 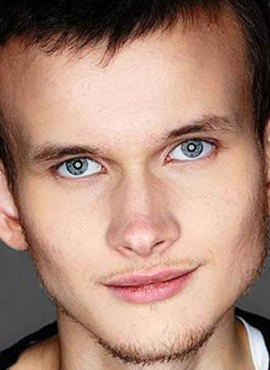 We are very excited to have Vitalik Buterin, the creator of Ethereum, keynote at the conference. As a sign of maturity for the technology an Australian group has been selected by the International Organisation of Standardisation (ISO) to spearhead a technical committee developing standards for blockchain tech. Standards Australia announced its leadership role on the committee, revealing it will oversee members from 35 countries on the effort. The ISO, founded in the 1940s, is composed of representatives from more than 160 national standards-setting bodies. Full Profile. Launching a trial using a variation of blockchain to track grains through the supply chain. Emma Weston will be presenting at the Blockchain NZ conference. Webjet. Using blockchain between its own divisions with smart contracts to document a hotel booking, creating an indisputable record where any subsequent changes can be clearly lodged. Graham Anderson & Mital Kayaiy from Webjet will also be presenting at the conference. Power Ledger. Using blockchain to enable energy producers and consumers to trade their energy directly. Currently being trialled by Vector in New Zealand. ASX. Pursuing blockchain technology to reduce the reconciliation related expense of keeping multiple data records. Other projects in the region include work by the New Zealand Qualifications Authority to look at putting qualifications on the blockchain. Sue Suckling, chair of the boards at Callaghan Innovation and NZQA recently gave a passionate and controversial presentation on the Future of Education at the Singularity University conference in New Zealand. We are hoping to get NZQA to present at the conference. Nyriad is another fascinating "below the radar" New Zealand based company using blockchain technology to create new generation of hyperscale storage processing technology. We are working on or aware of around 10 other early-stage projects in New Zealand. Two of the presenters - Margaux Avedisian and Jake Vartanian - will be talking about the emerging world of Initial Coin Offerings (ICO) that is currently disrupting the traditional capital raising model. An ICO is used by startups to bypass the rigorous and regulated capital-raising process required by venture capitalists or banks. In an ICO campaign, a percentage of the cryptocurrency is sold to early backers of the project in exchange for legal tender or other cryptocurrencies. Examples of successful Ethereum-based ICOs that Margaux has been involved in recently include Golem (a global, open sourced, decentralised supercomputer that raised US$10m in 30 minutes) and Qtum (a project to bring together the strengths of Bitcoin and Ethereum that raised US$12 million in 90 minutes). Other successful ICO's include: SingularDTV (a decentralized “Netflix” that recently raised US$7.5m in 15 minutes), FirstBlood (a sports platform that raised US$5.5m in under 10 minutes), ICONOMI (an open fund management platform that has now raised US$10m) and the infamous "The DAO" which raised US$150 in three weeks last year before collapsing spectacularly. We are excited to have Christoph Jentzsch present at the conference. Christoph was one of the creators of The DAO and one of the architects of the controversial Ethereum "hard fork" that resulted as a means of retrieving the lost funds. Love him or hate him, he will tell a fascinating story. Governments around the world are watching the blockchain world closely (at least we hope they are). Keynote speaker at the conference Andreas M. Antonopoulos has already presented to the Canadian and Australian senates. We'd certainly like to get him in-front of the New Zealand government while he is here (Bill, you there?). The Estonian government has become a global leader in the digital government space by using blockchain technology and we are excited to have Estonian Kaidi Ruusalep present at the conference to give us some insight on how to create a blockchain stock exchange. Kaidi is a former CEO of Nasdaq Estonian Stock Exchange and of the Central Securities Depository, co-founder of Estonian Service Industry Association and co-authored the Estonian Digital Signatures Act of 2000 (landmark legislation that enables secure digital identities and, in turn, the country’s booming electronic economy). She is now the founder of Funderbeam. And for a slightly more radical concept we have Max Kaye from Flux. Flux is an Australian based organisation looking to fundamentally change the way democracy works, "to modernise our democratic system". Max is a co-founder and deputy leader of Flux and will present on "How blockchain will spur a 2nd renaissance in democracy". Smart contracts are set to shake up (among others) the legal industry. A smart contract is essentially a self-executing piece of code that typically involves the transfer of value from one entity (person or "thing") to another. No individual, corporation, or governmental/legal system can interrupt it once it has been put on the blockchain. We are very excited to have Chicago-based attorney, educator, entrepreneur and public speaker Pam Morgan at the conference. She is a widely respected authority on multi-signature governance and legal innovation using digital currencies. Pam will also be giving workshop after the conference aimed at giving lawyers an introduction to this brave new world. Alex Sims, who has been funded by the New Zealand Law foundation to undertake blockchain research will also talk about how the blockchain affects copyright and patent law. John Halamka will be video conferencing in to talk about his recent report in the Harvard Business Review "The Potential for Blockchain to Transform Electronic Health Records". John is the International Healthcare Innovation Professor at Harvard Medical School, Chief Information Officer of the Beth Israel Deaconess System, and a practicing emergency physician. He has written 5 books, several hundred articles, and the popular Geekdoctor blog. For the past decade he has been responsible for health care data standards in the US, first under the Bush and then the Obama administration. He sees a blockchain-underwritten future in which a patient’s every health care interaction goes into a ledger every provider can see. John is also an independent director at Orion Health in New Zealand. Although we stress that this is not a tech conference, there will of course be plenty of software developers and architects coming along to find out more and connect with their peers. Peter Borah, lead Ethereum developer at Ownage (an Ethereum-based platform to distribute, collect, and trade digital game content), who gave an awesome presentation last year, will be presenting on "A Tourist's Guide to the Future". This talk will discuss the cutting edges of blockchain research, offering insight into the ways blockchain technologies are likely to develop over the next five to ten years. Topics covered will include privacy technologies, tools for blockchain scaling and off-chain processing, and cross-chain interoperability. Blockchains are a fast-moving target, and the time to begin preparing for the future is now! For the experienced blockchain developers there will be plenty of opportunities to ask Peter, Christoph, Vitalik and many others the hard questions. Many would argue that the internet has decimated the traditional media industry with many of the traditional content producers now struggling to make a living. The blockchain now offers some hope. Peter Borah will also be giving a post conference workshop on "Blockchains for Content Creators". This talk will discuss how blockchains can help fund, protect, and spread the content you work so hard to create. And for the New Zealanders coming along we will have some great local speakers who will give insight in to what is going on in our corner of the world. This will include Fran Strajnar (founder of Brave New Coin), Paul Salisbury (Director of 3months & BlockchainLabs.NZ), Stephen Macaskill (President of the Blockchain Association of New Zealand) and James Mansell (Insights Strategy Lead at IRD and lead author of The Data Commons Blueprint) among others. We also have some really exciting announcements & plans (hint: finally our very own bank-supported cryptocurrency exchange, and we're even hatching a plan to launch our own government-backed cryptocurrency!). You'll have to come along to find out more. "We've been blown away by the quality of speakers we've been able to convince to come all this way to New Zealand. Fortunately many of the speakers were looking for an opportunity to visit this part of the world." says organiser Mark Pascall. "We want to stress that this is not a tech conference, this is a business conference designed to take business entrepreneurs on a journey from learning the basics through to exploring some of the real-life ways that blockchain technology is being used to disrupt business models and transform our society." We’ve been blown away by the quality of speakers we’ve been able to convince to come all this way to New Zealand. Fortunately many of the speakers were looking for an opportunity to visit this part of the world. The conference will consist of 2 days of presentations, panel discussions, break-out sessions and networking (Monday 8th and Tuesday 9th May) and a further day (Wednesday 10th May) of separately bookable 3 hour workshops on specialist topics. On the Monday and Tuesday evenings we'll make sure there is amazing networking opportunities with drinks to lubricate the conversations. The event is part of a national Techweek: 9 days of events across New Zealand amplifying the inspiring technology, innovation, and design thinking that’s thriving across New Zealand.